Do Blood Pressure Drugs Cause Memory Loss? High blood pressure has been called a silent killer. This is because it is possible to go for years with high blood pressure and not even know it. Even worse, the consequences of untreated high blood pressure can be catastrophic – stroke, heart attack, congestive heart failure, kidney failure – the list goes on and on. Have your blood pressure tested frequently (at least once a year if your blood pressure is in the normal range and more frequently if it is elevated). If your blood pressure is elevated, get on a blood pressure medication and try to keep your blood pressure as close to normal as possible. But, is this always the best advice? Maybe not, particularly when we consider the confusing effects of blood pressure on cognitive function. 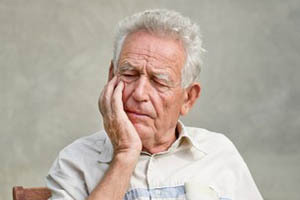 We have known for years that untreated high blood pressure in middle aged individuals significantly increases the probability that they will suffer cognitive decline in their later years (for example, R. F. Gottesman et al, JAMA Neurology, 71: 1218-1227, 2014). Conversely, when we look at the elderly as a group we find that those with the lowest blood pressure actually have a higher risk of cognitive decline than those with the highest blood pressure (for example, B. Sabayan et al, Journal of the American Geriatric Society, 60: 2014-2019, 2012). How can we reconcile such conflicting data on the correlation between blood pressure and cognitive decline in the elderly? Could it possibly be that it was the blood pressure drugs rather than blood pressure itself that was causing cognitive decline in the elderly? Do Blood Pressure Medicines Cause Memory Loss? A group of scientists in Italy set up a clinical study to determine whether blood pressure or use of blood pressure drugs better correlated with cognitive decline in elderly patients who already have some degree of cognitive impairment (E. Mossello et al, JAMA Internal Medicine, doi: 10.1001/jamainternmed.2014.8164). They enrolled 172 patients from 2 outpatient memory clinics in the study. The average age of the participants was 79 and all of them had some degree of cognitive impairment (68% with dementia and 32% with mild cognitive impairment). 70% of the study participants were on blood pressure drugs. Their blood pressure was measured on a daily basis, and they were tested for cognitive function at the beginning of the study and 9 months later. Those with the lowest blood pressure had the highest rate of cognitive decline over the 9-month period. These results were similar to several previous clinical trials with the elderly. The association between low blood pressure and cognitive decline was only seen in those subjects on blood pressure medications. Low blood pressure did not increase the risk of cognitive decline in unmedicated subjects. It is a small study of short duration. It is the first study of its kind. It needs to be repeated. It was done in an elderly population who already suffered from cognitive decline. We don’t yet know to what extent these conclusions will apply to younger people and to people without cognitive impairment. However, this study does raise a huge red flag that needs to be evaluated very carefully. It raises the issue of whether aggressive drug treatment to bring blood pressure under control may, under some conditions, cause more problems than it cures. It is not unlike the study a few years ago showing that aggressive treatment to lower blood sugar levels in type 2 diabetics actually increased the death rate (C. J. Currie et al, The Lancet, 375: 481-489, 2010). It turns out that increased risk of cognitive decline is just one of several risks associated with aggressive drug treatment to lower blood pressure. Because of that realization an expert panel recently recommended that the threshold for the use of blood pressure drugs be raised from 130/90 to 140/90 for adults under 60 and to 150/90 for adults over 60. It’s not that high blood pressure has suddenly become healthier. Rather, the experts realized that the risks of aggressive drug treatment to lower moderately elevated blood pressure outweighed the benefits. The cure was worse than the disease! The answer is a resounding yes, and we have known about it for years. It is called the DASH (Dietary Approaches To Stop Hypertension) diet. It is recommended by the American Heart Association, the National Heart, Lung & Blood Institute, the USDA 2010 Dietary Guidelines for Americans and the US Guidelines for Treatment of High Blood Pressure). Coupled with a few simple lifestyle changes it has been shown to be as effective as drugs at reducing high blood pressure, without the side effects of the drugs. You can find the details of the DASH diet here (http://dashdiet.org/), but in simple terms, it is low in fat, high in fresh fruits and vegetable, fiber and low-fat dairy products. The recommended lifestyle changes are weight control, restricted sodium intake and exercise. Although not all experts agree, I personally recommend that you also make sure that you are getting the DV for calcium, magnesium and vitamin D from food and supplements and consider supplementing with long chain omega-3 fatty acids and polyphenols – especially resveratrol and related polyphenols from grape skins and seeds. High blood pressure is a silent killer because people often don’t know they have it. If left untreated it can cause stroke, heart attack, congestive heart failure and kidney failure. However, a recent study suggested that aggressive drug treatment to treat high blood pressure in the elderly can increase the rate of cognitive decline. Because of this and other risks associated with aggressive drug treatment for high blood pressure, especially in the elderly, an expert panel recently recommended that the threshold for the use of blood pressure drugs be raised from 130/90 to 140/90 for adults under 60 and to 150/90 for adults over 60. Fortunately, there is another option, namely the DASH diet. The DASH diet, along with a few simple lifestyle modifications, has been shown to be as effective as drugs at reducing high blood pressure without the side effects of high blood pressure medications. Both the American Heart Association and the National Heart, Lung and Blood Institute recommend that the DASH diet and lifestyle changes be tried first, before considering use of blood pressure medications. Finally, high blood pressure is dangerous. Don’t ignore it. Get your blood pressure tested regularly. If it is elevated, talk with your doctor about the best combination of diet, and lifestyle change and whether medications are absolutely necessary to keep your blood pressure under control.